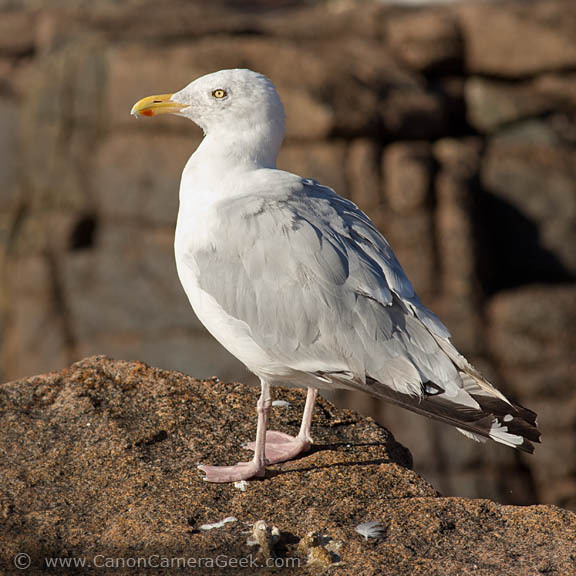 Here is a recent Canon 400mm f5.6 photo of a gull. 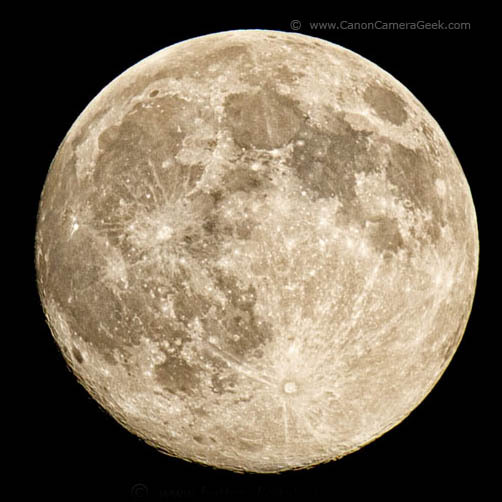 I cropped it to a square format so that you could get in a little closer and see the detail You can achieve using this lens. 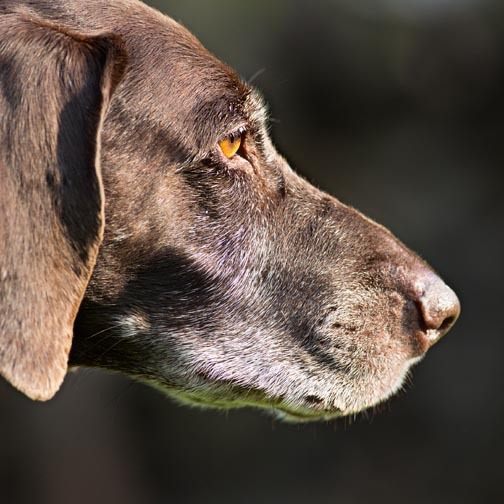 Here are more sample photos taken with the Canon 400mm f5.6 lens. 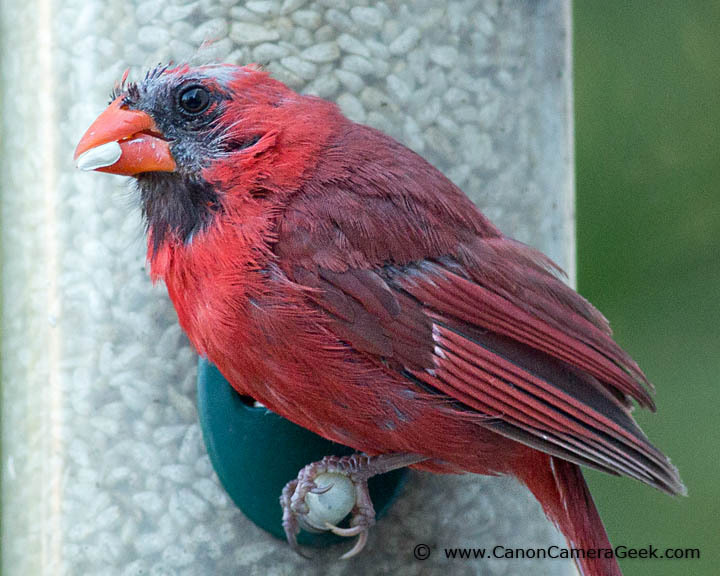 This ragged looking cardinal below is a frequent visitor to my bird feeder. The oldest known cardinal in the wild lived to be over 15 years old and it wouldn't surprise me if this old geezer was pushing that record. All of these bird photos were taken at a distance of about 21 feet or 6.5 meters. At that distance these small birds did not come close to feeling up the frame, so the photos were cropped tighter. Please feel free to share this page, called sample photos with Canon 400 f5.6 lens or any of the photos on it. I only ask that you put a link back to this page or the Canon Camera Geek Home page. If you have any questions about cameras, Canon accessories or lenses you can use the Ask the Geek link on the left, up above. 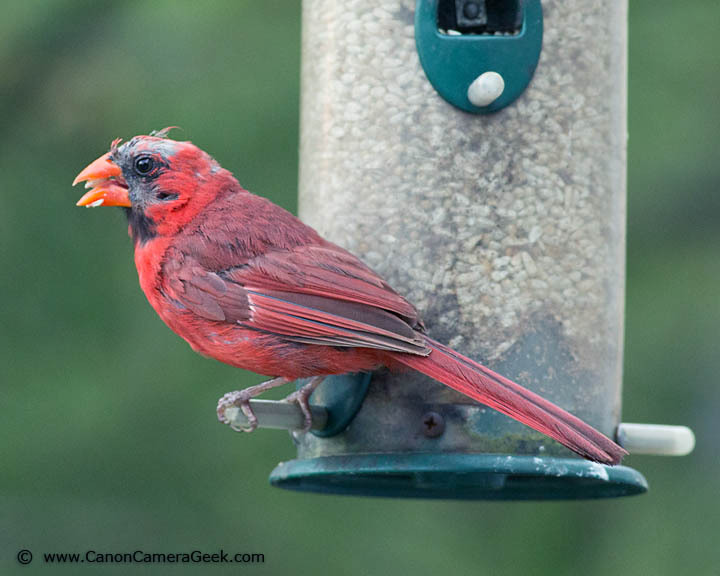 This male cardinal is braver than his female counterpart, who rarely comes to the feeder. She often chooses to stay a safe distance in a nearby pine tree. Bird photography takes patience and lots of glass. The Canon 400mm f5.6 is an affordable alternative to the fast lenses that cost 10 times as much. Granted it's uses are limited and it not a zoom. 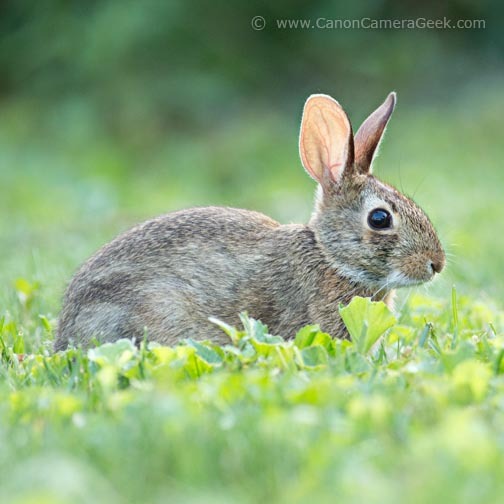 Many photographers, including myself, have become so accustomed to using zoom lenses, it is actually a refreshing exercise to use a "prime lens" to change your routine. It is light in weight and takes the same 77mm filters that the 24-105 lens does. 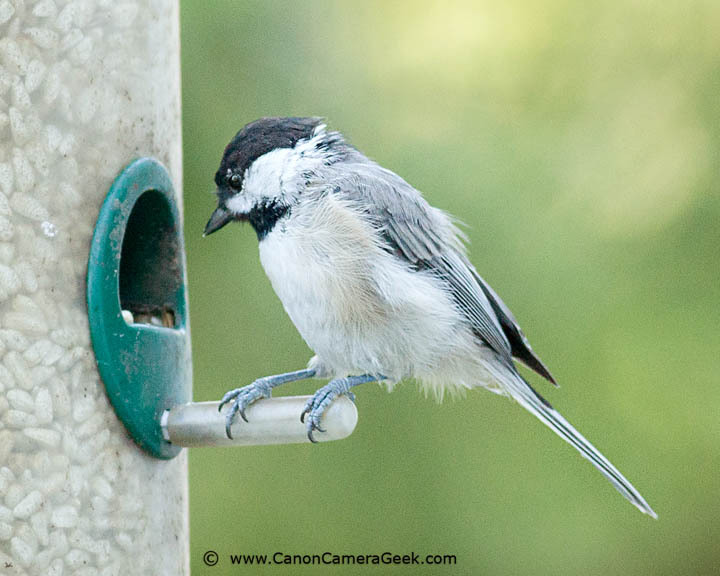 Happy Bird and Wildlife Photography! Got a question. You can Ask the Geek and maybe I can help.